In this Business English vocabulary lesson, we’ll look at English vocabulary related to the manufacturing process. This includes research and development, or R&D, as well as making prototypes. 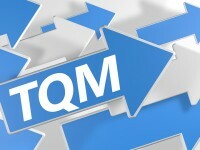 Next we’ll look at different approaches to manufacturing, including lean manufacturing, total quality management, or TQM, and Six Sigma. And most manufacturers follow a set of standards called ISO, especially ISO 9001 and ISO14001. Finally, we’ll look at a variety of manufacturing processes, such as machining, molding and extruding.